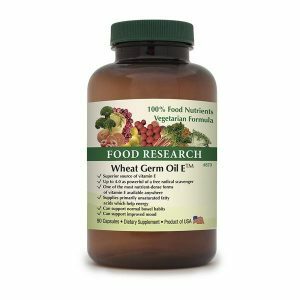 Wheat Germ Oil E™ – Doctors Research, Inc. Wheat Germ Oil E is a 100% Food supplement that is intended to supply nutrients needed to provide high quality 100% Food vitamin E.
Wheat germ oil is one of the most naturally concentrated food forms of vitamin E. Wheat germ oil naturally also contains octacosonal and has been used by some intertested in better athletic performance and mood support. Wheat has been called the staff of life, and the oil from the germ of the wheat has long been used by people with a variety of health concerns. The PDR states, “Wheat germ oil protects and nurtures the skin, is a laxative and reduces lipids. It is a valuable dietetic because of the high level of polyunsaturated acids and vitamin E” . Chinese medicine uses it for night sweats, whereas “Flatulence, constipation, itching, and menorrhagia are indications for use in Indian medicine” . Royal Lee advised its use for those who bruise easily (capillary fragility), have lowered metabolism, have anoxia-like symptoms (frequent sighing/yawning, tachycardia, hyperirritability), have tissue concerns (bleeding gums), have low stamina, are obese and/or have cramps brought on by exertion . 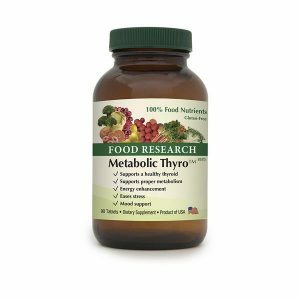 He also wrote, “Wheat germ oil is about 75% unsaturated fatty acids and as such is believed to have an effect on iodine metabolism, acting to increase thyroid activity in this respect. This may account for the relief of fatigue often expressed by patients using wheat germ oil in the diet” . Some doctors also report that they use wheat germ oil for those with depression. Recent research confirms that wheat germ oil can help reduce oxidative stress . Wheat germ oil also contains policosanol (a substance that can be helpful in lowering raised blood sugar and/or cholesterol levels [4,5]), as well as octacosonal (a substance reported to improve human fitness [4,5]). One study reported, “Policosanol (PC) is the common name for a mixture of high molecular weight (20-36 carbon) aliphatic primary alcohols, which are constituents of plant epicuticular waxes. Wheat germ oil has been reported to improve human physical fitness, and this effect is attributed to its high PC, specifically its high octacosanol (OC) content” . Octacosanol is a component of wheat germ oil and is sometimes advised for Parkinson’s [4,6]. “There is limited evidence that octacosanol itself may lower cholesterol levels…There are claims that octacosanol is useful in building muscle strength and endurance, and these claims have made the supplement popular with some body builders. There is preliminary evidence, limited to animal experiments, that octacosanol may increase voluntary exercise in the animals . Wheat germ oil naturally is high in the steroidal esters betasitosterol and campersterol. “Beta-sisterol itself is used as a medicine in Europe for BPH” (benign prostate hypotrophy) . Interestingly, while three studies using non-purified beta-sisterols found that it tends to improve urinary output (and at the same time reducing mean residual urinary volume for males with prostate problems), one study suggested that using purified beta-sisterol “did not help flow volume” . Of course, Wheat Germ Oil E TM does not contain “purified” betasitosterol, but the naturally-occurring non-purified form. Wheat germ oil is one of the most concentrated natural sources of vitamin E. According to the US Department of Agriculture, wheat germ oil contains vitamin E in the form of alpha-tocopherol . According to the 10 th edition of Modern Nutrition in Health and Disease , alpha-tocopherol is an active form of Vitamin E.
Most vitamin E sold is not Food. Natural vitamin E “as found in Foods is [d]-alpha tocopherol, whereas chemical synthesis produces a mixture of eight epimers”  (natural vitamin E has recently been renamed to be called RRR-alpha-tocopherol whereas the synthetic has now been renamed to all-rac-alpha-tocopherol, though supplement labels rarely make this clear; on supplement labels d-alpha-tocopherol is generally ‘natural’, whereas dl-alpha-tocopherol is synthetic ). Natural RRR-alpha-tocopherol has 1.7 – 4.0 times the free radical scavenging strength of the other tocopherols, RRR-alpha tocopherol has 3 times the biological activity of the alpha-tocotrienol form, and synthetic vitamin E simply does not have the same biologic activity of natural vitamin E (some synthetic forms have only 2% of the biological activity of RRR-alpha-tocopherol) . 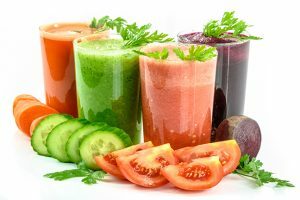 The biologic activity of vitamin E is based on its ability to reverse specific vitamin E-deficiency symptoms , therefore it is a scientific fact that, overall, synthetic vitamin E has less ability to correct vitamin E deficiencies than Food vitamin E. There is an interesting reason for this, which is that the body regulates plasma vitamin E through a specific liver alpha-tocopherol transfer protein, whereas it has no such protein for other vitamin E forms . Or in other words, the liver produces a protein to handle vitamin E found in Food (like Wheat Germ Oil E TM), but not for the synthetic forms! Even mainstream researchers teach, “Vitamin E is the exception to the paradigm that synthetic and natural vitamins are the equivalent because their molecular structures are identical…Synthetic vitamin E is produced by commercially coupling trimethylhydroquinone (TMHQ) with isophytol. 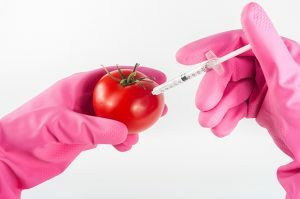 This chemical reaction produces a difficult-to-separate mixture of eight isomers”  (vitamin E, of course, is not the only exception–all nutrients are better if they are Food). Isolated natural vitamin E has been found to have twice the bioavailability as synthetic vitamin E . The form of vitamin E found in Food has been found to be 2.7 times more retained in the body than a synthetic form —this appears to be because the body attempts to rid itself of synthetic forms as quickly as possible . Vitamin E-containing wheat germ oil been shown to quench free radicals (antioxidant ability)  yet so-called “natural” vitamin E forms (like succinate) do not–Even the PDR notes, “d-Alpha-Tocopherol succinate itself has no antioxidant activity” , so why would anyone want that for their vitamin E supplement? Vitamin E is necessary for the optimal development and maintenance of the nervous system as well as skeletal muscle [8,11]. Vitamin E deficiency can lead to certain anemias, nutritional muscular dystrophy, reproductive problems, and hyperlipidemia . 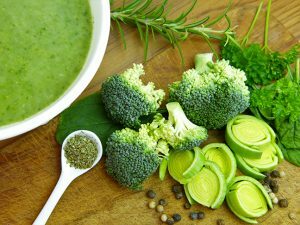 Vitamin E has been shown to reduce the risk of various cancers, coronary heart disease, cataract formation, and even air pollution [10,11]. It also is believed it may slow the aging process and decrease exercise-induced oxidative stress [10,11]. Artificial fats seem to increase the need for vitamin E . “RRR-α-tocopherol is especially high in wheat germ oil” . “Probably the most important source of α-tocopherol in the United States is the supplement pill” —that being the case, shouldn’t Food vitamin E be the preferred form? Wheat Germ Oil E TM naturally has antioxidant abilities, octacosanol, polyunsaturated fatty acids, and a variety of substances shown to be beneficial for health. Wheat Germ Oil E TM) is the product to consider when looking for the benefits these substances provide. Note: This FOOD brand product contains wheat. Those with wheat sensitivities should be cautious about taking this product (although since it has no significant amount of wheat proteins or carbohydrates , it may be tolerable for those who are sensitive to those components). The PDR states, “No health hazards are known in conjunction with the proper administration of designated therapeutic doses” . Note: For constipation, the PDR advises doses up to 80 g per day (taken with meals and plenty of liquids) , but this amount is rarely needed. Other ingredients: Vegetarian Soft Gelcap.